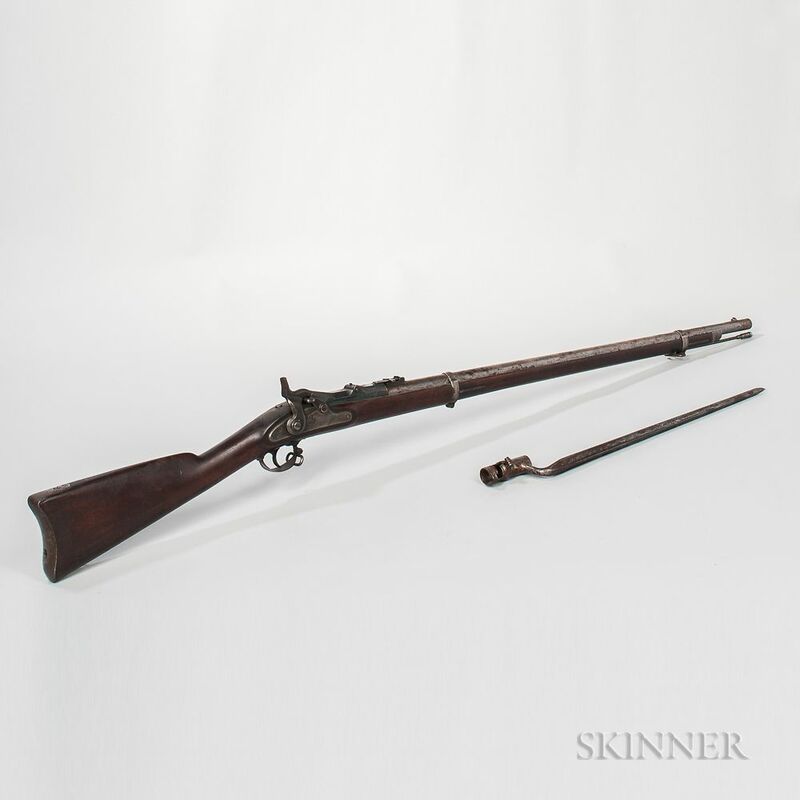 Model 1868 U.S. Springfield Rifle and Bayonet, c. 1868-72, serial number 13220, .50 centerfire caliber, walnut stock with steel fittings, lock plate marked "1863" and U.S./SPRINGFIELD," barrel lg. 32 1/2, overall lg. 52 in. Stock has a few dings and nicks, some blue remains on the top of the receiver, some spotting on the barrel and bayonet, and the gun functions properly.